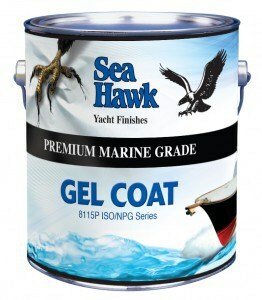 There are many different topside boat paints and qualities, generally the more you spend the better the results. Duralux High Gloss Marine Enamel is affordable and easy to apply and only recommended for above the waterline or moderate use on the bottom (a day or so in the water, not extended periods). 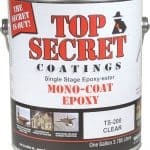 This topside paint works best in very thin coats; see the prep recommendations found on product page on “how to use” tab. Duralux marine enamels does have a limited color offering in a flat finish, but those color choices are limited to their camouflage paint colors. 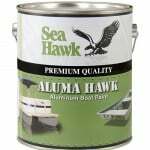 For use on aluminum the Duralux Zinkromate Primer is recommended and for use on wood the Duralux Yacht Primer is recommended for best adhesion. 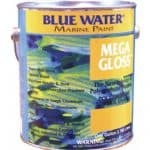 Bluewater offers Mega Gloss paint for the topside in a variety of color options and available in quarts and gallons. Mega Gloss Primer will aid in proper adhesion of paint. Aquagard offers a water based enamel, Aqua-Gloss, for customers that want to avoid solvents or restricted waterways/marines that don’t allow solvents. The Aquagard paints are available in several high gloss colors for use on fiberglass, aluminum and wood. An easy to apply 190 Waterbased Primer is recommended for aluminum or wooden surfaces with use of the Aquagard 180 Wash and Dewaxer. 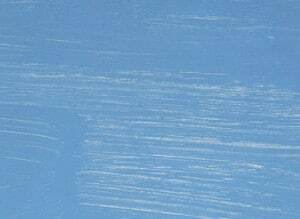 You also have a choice from Supermarine Paints that can be used above or below the waterline and come in a few different styles. The Revolution (great option if rolling/brushing) usually customers choose the Supermarine Etching Primer (SM 664D) for the primer. They are also available in your choice of sheen (satin or gloss). Click on “view more” for the paint and use the specification/how to use tabs for detailed instructions, coverage and preparation on any of the product pages. 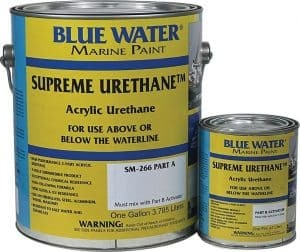 The “work horse” is the Ever Last Epoxy and the top of the line selection is Supreme Urethane and the only one recommended for long periods under water. 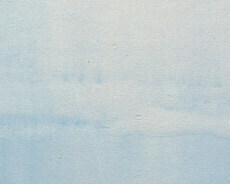 The previous two paints are available in flat and semi gloss as well as satin and gloss. The best available boat paint for the topside with the best finish is Awlgrip, most expensive but best results and loved by customers. 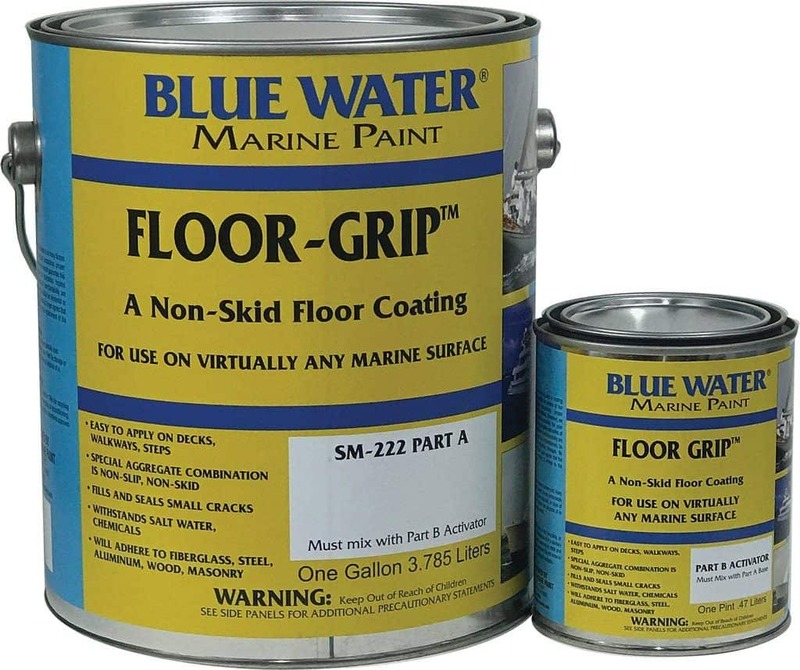 Awlgrip marine paint also requires a little more “do it yourself savy” to apply these paints, and require the correct activators and reducers when applying. The manufacturer of Awlgrip recommends it for above waterline use only. 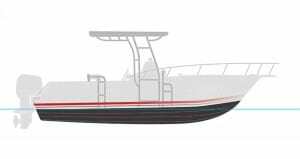 Your topside boat paint choice depends on your budget, the durability needed and the amount of time you want to spend on your boat paint application. This entry was posted in Topside Paint and tagged best topside boat paint, topisde paint options, topside boat paint, types of boat paint on January 18, 2013 by Jason Revie. 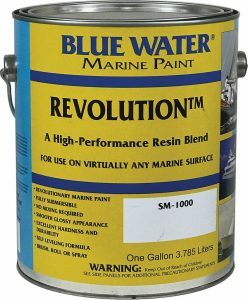 Revolution Marine Paint does a better job protecting and keeping fiberglass, aluminum, steel and wooden surfaces looking good longer than typical marine enamels. 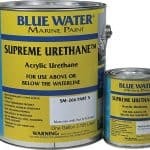 It lasts as long or longer than two-part urethanes and will not chalk like typical epoxy. While gel coat and many marine enamels are quick to chalk and fade, require regular cleaning, waxing and buffing to maintain their appearance Revolution boat paint maintains its color and gloss longer. It provides a bright, smooth “lively” protective finish years longer. 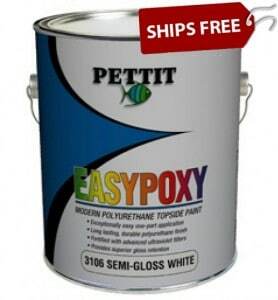 When impacted or abraded it will not crack or spider-web like epoxy or gel coat. It stays clean longer and scuffs are easily buffed to a high gloss finish. Revolution is the first boat paint of its kind recommended for use above and below the waterline on virtually any boat or vessel regardless of materials often eliminating the need for antifouling bottom paint in fresh water (it is not antifouling). 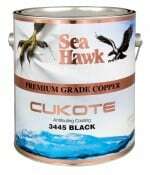 It has been formulated to outperform both typical topside and antifouling bottom paints on trailered and boats in fresh water. Even better; it increases the speed of most vessels by as much as 10% saving money in fuel and time in transit! Independent test data confirms its spectacular performance, longevity and durability; achieving more than a 40 year lifespan in constant submersion accelerated durability testing. 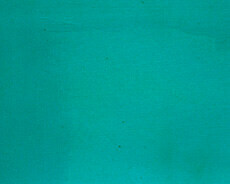 The exceptionally beautiful finish of Revolution marine paint must be seen to appreciate. The cured film has a unique soft, smooth glossy appearance; considerably smoother than typical paint yet slip resistant in nature! It is easy to apply, lasts longer and saves money in maintenance and on fuel. It provides a high level of corrosion resistance topside or under the waterline. Product type: Silicone Alkyd Epoxy-Ester Co-polymer Coating. Coverage: 700-800 sq. ft. per gallon @ 1 mil dry; nice thin coats for this type of paint works best. If too thick the cure time can be very long. Thinner: SM-101 Leveling Thinner is a must have with this product! 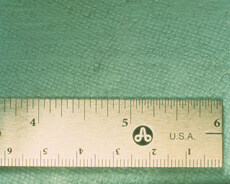 Thin 15-25%. 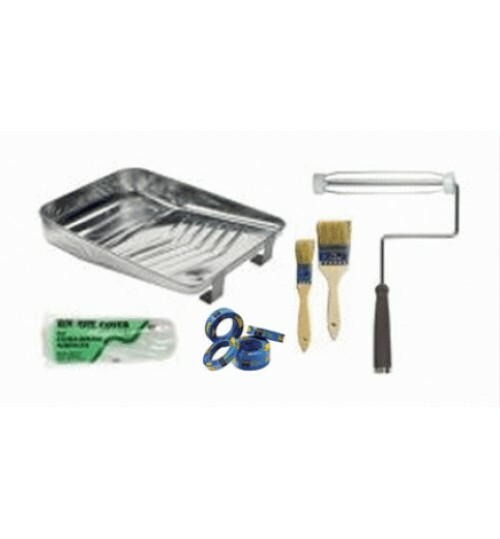 Cleaner: Recommend SM-695 Etching Cleaner (popular item for preparation) for fiberglass, aluminum, concrete and prepared steel surfaces. Where rust is evident use SM-5679 Rust Converting Cleaner. Aluminum, galvanized and Stainless: Use primer including SM-664D Etching Primer, SM-7390 Formula 150 Polyamide Epoxy Primer or Mono Epoxy Primer.  All painted surfaces, if the paint is sound, can be scuffed, cleaned and Revolution applied to it without primer. Fiberglass: Use SM-664D Etching Primer or SM-787 Mono Epoxy Primer. Steel, iron & concrete: SM-7390 Formula 150 Epoxy Primer or Mono Epoxy Primer. 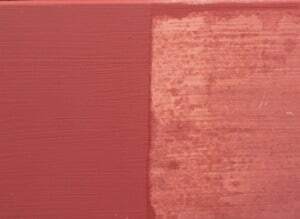 SM-664D Etching primer is good because it is easy to use being single stage, is fast drying (only 2 hours to sand or paint), sands beautifully, and has phenolic acid in it for a tenacious bond. 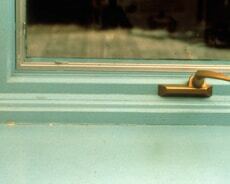 It literally adheres to everything, metal, wood, fiberglass, . Here’s a key point; it is porous. The porosity is intentional. 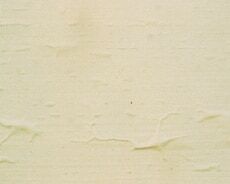 The porosity of it causes the top coat, which is hopefully a barrier coat, to be sucked in creating a permanent bond between paint and primer. Its great stuff. One problem that occasionally comes up is the porosity of it means it can pick up moisture over night. You can prime, go home, come back in the morning after a heavy dew, rain or high humidity, apply paint and find the whole thing is fouled. We always warn novice painters they must be sure the primer is dry before painting. Slip Resistance: For added slip resistance add 8 ounces 630 Pro-Tex, 1 lb Tred-Tex or Gaco-Grip. Clean up: Clean with Lacquer Thinner. 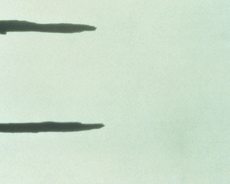 Accelerate/Harden: See TM-160 Accelerator/Hardener. Refer to Application Instructions Sheet, Product Data Sheet, label directions or contact us for additional information. How To Apply Revolution: All applications should begin with the removal of hardware, ventilators, bang irons and decorative name plates. 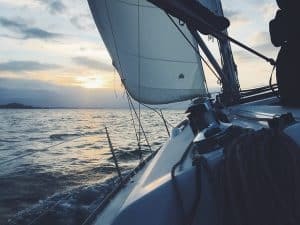 After that, the steps to prepare a boat for paint or a clear coating are only slightly different from those taken with wood, fiberglass, aluminum or steel. The difference between an amateur and professional application is often preparation. 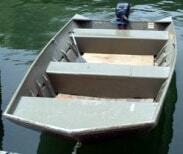 The smart painter puts most of his effort into preparing the boat for painting. The old saying is true that 99% of a good paint job lies in preparation and 99% of paint failures are due to poor preparation. This is a statistic you do not want applied to your project! Do not cut corners when preparing your boat for paint! Previously painted boats: Best results will be achieved when most or all old boat paints have been completely *removed and primer applied to all surfaces, however, paint in good condition may be cleaned and de-waxed with SM-695 Etching Cleaner then sanded with 100 grit sandpaper in preparation for paint. An orbital palm sander or dual-action rotary sander will be less strenuous than hand sanding. Sanding will reveal areas that are blistered or flaking requiring removal. 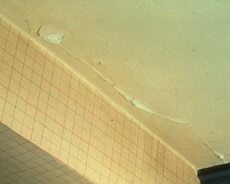 Such areas should be repaired if needed and properly primed. Hand sand to feather the repair to the level of the rest of the existing paint for best results. 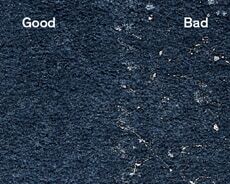 Scrapes, scratches and divots may be filled with painter’s glazing compound prior to painting. Trowel it into the blemish with a putty knife allowing it to set up before sanding smooth. 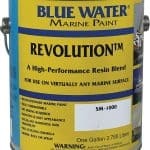 All repairs and glazing compounds should be primed and sanded before proceeding with Revolution boat paint. 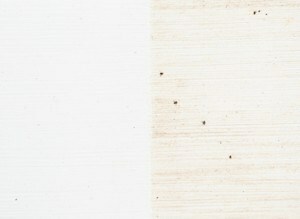 Preparing Raw Wood (Unpainted): Bare wood should be sanded with 80 grit paper before the application of Primer. 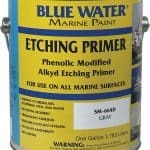 Select Ethcing Primer 664D to fill, build and create a smooth easy to adhere to surface. It has an unusually high amount of solid material, sands beautifully and locks our air and moisture. Recommend allowing primer to dry for 2-4 hours before sanding with 120 grit paper. 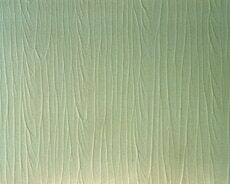 Often repeated coats are applied to achieve a smooth finished surface. Repeated primer coats and sanding may be continued until the grain has been filled and the surface is completely smooth. Recommend 180 grit sandpaper for use in finish sanding. The use of other primers is acceptable. 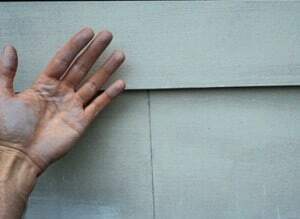 The inevitable sunken fastener holes, scratches and dings should be filled with painter’s glazing compound – not to be confused with glazing putty used to keep glass in home windows. 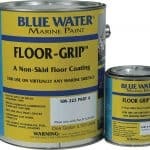 Marine glazing compound is a fine putty intended for repairing small surface blemishes prior to painting. 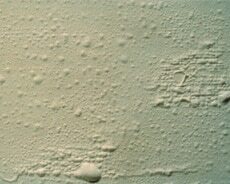 Apply to the blemish area with a putty knife, allow it to cure thoroughly then sand surface to a smooth finish. 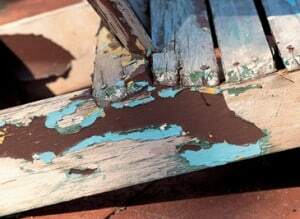 Deteriorating Paint should be completely removed from the hull before repairs or primer is applied. 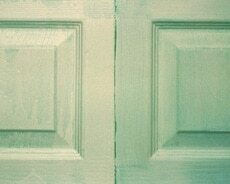 Power sanding is preferred over paint remover. This process is referred to as “wooding down.” Once the old boat paint has been removed prepare the hull as if it were new bare wood. Preparation on Steel: Proper surface *preparation is vital. 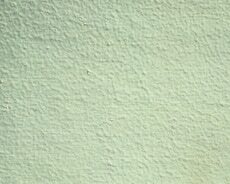 Previously painted surfaces must be thoroughly cleaned and free of residues, oily film, and loose paint chips. All rust, loose scale and contaminates must be thoroughly *removed prior to the application of primer. Preparation should include wire brushing by hand, mechanical grinding and or sand blasting of all surfaces. 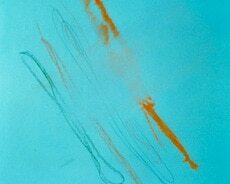 Rust should be treated with SM-5679 Phos-Pro Rust Converting Metal Conditioner. Rust free and galvanized metals should be treated with SM-695 Etching Cleaner. Once all surfaces have been carefully prepared, rust, oil, grease and contaminates removed, the application of recommended primer should be applied without delay to prevent new corrosion. Surfaces treated with SM-5679 Phos-Pro must be primed within 24 hours (See Performance Data Sheets and MSDS for SM-5679 Phos-Pro and SM-695 Etching Cleaner for further information). 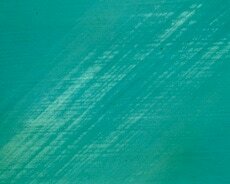 Primer: Aluminum, fiberglass, existing epoxy and gel coat are “hard to paint” surfaces requiring an etching primer. 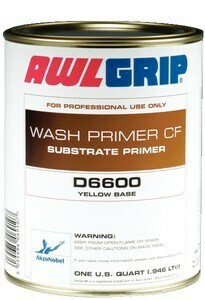 664D Etching Primer is recommended for use on all gel coat, epoxy, raw fiberglass and wooden surfaces. You will find the Etching Primer provides outstanding adhesion, build, sandability. 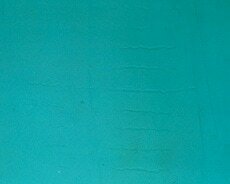 Its use on aluminum and fiberglass result in better adhesion of the finish coat than can be obtained by any other process. It may applied with a brush, roller or sprayed. Using a roller speeds up the work and provides a higher film thickness than spraying. Apply a minimum of one evenly applied coat to all areas that will be painted. Film build is high making sanding surprisingly easy. 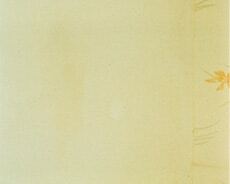 Use Etching Primer as filler by simply building it up with a brush, allowing it to dry then sanding it smooth. 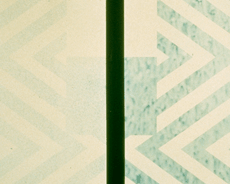 When spraying Etching Primer it will likely need to be thinned with SM-605 Thinner. Do not substitute with other thinners. We recommend using 664D, SM-5000 Zinc Plate or SM-7390 Primer as an intermediate primer coat before the application of Revolution. Epoxy primers, which produce superior hardness are well liked on steel and fiberglass. Apply two or more coats of epoxy primer. Finish Coats: Fiberglass, Aluminum & Steel: Professionally applied spray coat applications yield superior results, however Revolution levels exceptionally well in brush and roll applications. Unless you are experienced with spray equipment the best way for the do it yourselfer is to apply Revolution is by roller coat. When properly thinned in appropriate temperatures (SM-101 Thinner 15%-25%) Revolution levels exceptionally well. It had a good defoamer “bubble popping additive” so the need for tipping is eliminated. 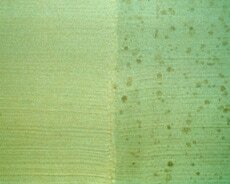 Aside from spraying, which offers the best film thickness control, rolling is often the best way to achieve the recommended wet film thickness, 2 mils WFT (Wet Film Thickness). The recommended DFT is 3.4 mils. Applications applied too thickly may not adhere or level properly, run, sag and take days, or even weeks to cure. Always adhere to the manufacturers recommended WFT and DFT (Dry Film Thickness)! Revolution boat paint must always be stirred or shaken thoroughly before use. It may be brushed, rolled or sprayed utilizing conventional and HVLP spray equipment. 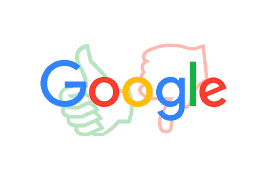 The solid content is exceptionally high so thinning will be necessary in most applications. 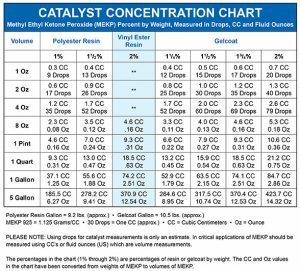 The amount of thinner required will vary depending on ambient temperature, type of equipment used, method of application, humidity, color and amount of control desired and tip size in spray applications. We suggest beginning with minimum dilution at first and increasing dilution as needed subject to your individual application requirements. 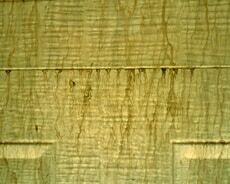 INCOMPATABILITY ISSUES: Revolution belongs to a classification of coatings referred to as “long-oils”. 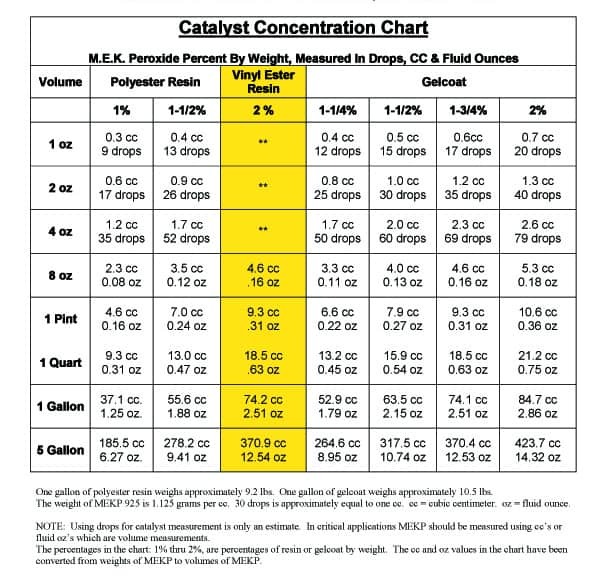 While long oils may be applied over virtually any surface or existing coating they may NOT be over coated with products that include high percentages of lacquer, xylene, toluol or similar “hot” solvents. Our guaranty is void unless applied at the recommended thickness and used only with recommended Supermarine cleaners, thinners, accelerator/hardener and primers. 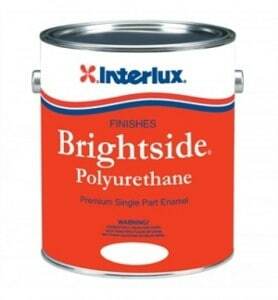 When painting over preexisting primer or paint be sure it has cured before proceeding. DRYING PROBLEMS /SLOW CURING: Revolution is catalyzed by oxygen rather than chemically. The full cure may take longer to achieve than expected. The curing process should be allowed to be completed naturally or with the addition of TS-160 Accelerator/Hardener before entering full service duty or film failure may occur. When you cannot mark it with your fingernail you know it has cured enough to enter full duty service. 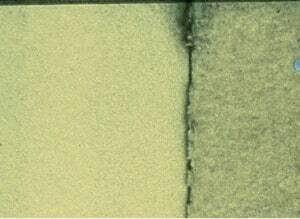 When the film remains soft after 48 hours it has likely been applied too heavily. Dark and MT colors are typically slower to dry and cure. Using TS-160 A/H forced drying (adding heat such as oven baking) or increasing air movement across the curing film are ways to speed dry and cure times. Allow more time (weeks if needed) until the film has cured. 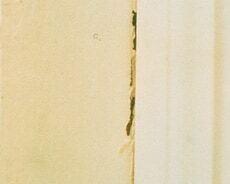 If after several weeks the film is still soft it will likely require removal and replacement. The use of TS-160 A/H is optional. It’s use increase hardness, chemical resistance and speeds cure times. 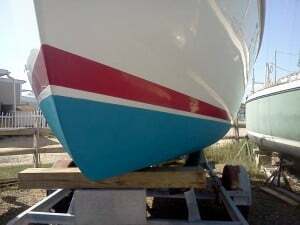 This entry was posted in Topside Paint on July 23, 2012 by Jason Revie.